Gas offers you, the homeowner, a chance to cut down your energy costs and reduce your carbon footprint. No matter what the purpose, gas is entirely safe, natural and efficient, and can be promptly installed. In no time at all, you will see the difference in your power bills and feel it in your water. Access consistently warm water throughout the entire day with an efficient gas hot water system. We take the time to consider the size of your budget, the number of occupants and regular water usage to ensure that you are matched to the ideal hot water system. Safe and reliable, gas heaters are a great way to keep warm during winter. As with our hot water installations, we take the time to match your needs to the appropriate heater. With one of these quality heaters installed, you can be comfortable night after night with no real impact on your monthly power bill. 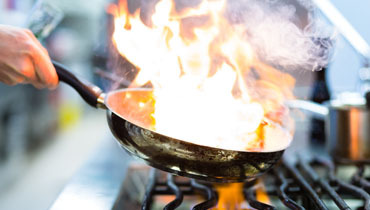 Try one of our affordable gas cooktops for an even and efficient cooking heat. These units instil a classic taste and texture into every meal, using minimal energy in the process. Take your pick between something small scale for the occasional cook through to the larger units for those always eager to whip up a feast. Keep your pool at a comfortable temperature all year round with the help of efficient gas pool heating. Our systems offer a low-cost way to maintain a consistently warm temperature that is perfect for an invigorating swim. Book a fast and affordable gas installation by calling Gas Action on 1300 GAS FIX (427 349). Safe, clean and incredibly versatile, gas is the best source of heat on the market. At Gas Action, we have dedicated ourselves to supplying homeowners and businesses with everything they need to stay warm and keep cooking. With our help you can efficiently heat your caravan, pool, business or home with minimal impact upon the environment. Every product and installation we provide is backed by our reliable expertise and 16 years’ industry experience. Receive incredible value for a fair price by investing in gas services today. Call us on 1300 GAS FIX (427 349) to discuss your gas needs with a Gas Action specialist.